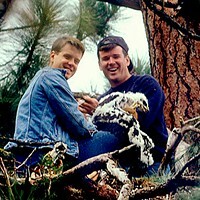 Central Oregon has the perfect habitat for eagles and other natural treasures. Here are some sites to check out the local flora and fauna. The American bald eagle—once almost extinct in this part of the U.S.—has returned, and can be seen just about any place in the state. There are now over 400 active nests statewide! 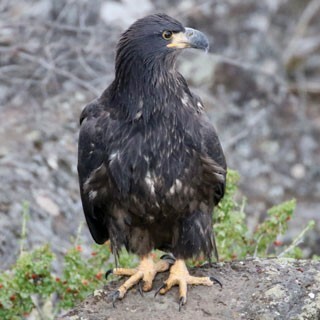 Golden eagles rule the rimrock and sage country east of Bend, along with coyotes, jackrabbits and a number of reptiles, including the Great Basin rattlesnake. Head for the high lakes along the Cascade Lakes Highway to find bald eagles and osprey interacting over the plentiful fish, with Crane Prairie and Wickiup Reservoirs being the most lucrative. A plethora of shorebirds and splendid views of rafting waterfowl make renting a boat for the day very worthwhile. Heading east along Highway 20 near Hampton Station will cause you to miss your nap, watching eagles and a wide variety of hawks interacting within and around the hay field pivots. Taking side trips on any of the many Bureau of Land Management roads will give you sightings of our state bird, the western meadowlark, lots of high desert shrub/steppe sparrows and other brush-loving birds, such as the sweetly singing sage thrasher, and a healthy population of fence lizards. 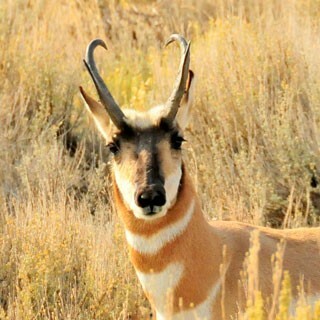 Sighting a small herd of pronghorn antelope will make your day. Going south via Highway 31 to northern Lake County will take you to Fort Rock, Hole-in-the-Ground, Crack in the Ground, and more hay farms for raptors, badgers, barn owls and so much more that you'll want to stay for days. Continuing south will bring you to The Oregon Department of Fish and Wildlife's Summer Lake Wildlife Management Area, filled with shore birds, waterfowl and owls, plus reptiles and mammals of the desert and marshes. In spring and fall, the migrating flights of geese are quite spectacular. In the Sisters area, especially Cold Springs Campground and any section of trail along the Metolius River, see the White-headed woodpecker and a number of colorful warblers. To view our local fish varieties, visit the Wizard Falls fish hatchery. Due to the diversity of plant life, butterfly watchers from all over the country come here to add a number of species to their life list. The Deschutes River, the main waterway bisecting Central Oregon, affords many opportunities for wildlife viewing by raft or hiking trails. The walk to Steelhead Falls from the parking area at Crooked River Ranch, northwest of Redmond, will reward you with spectacular scenery as well as eagles nesting on the cliffs and orioles in the trees. 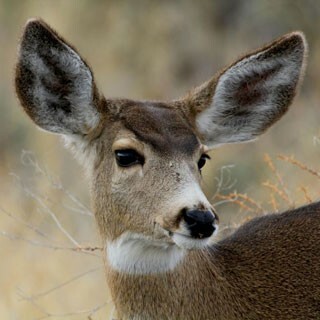 Southeast of Madras, Haystack Reservoir, Smith Rock State Park and the Rimrock Springs Wildlife Management Area features mule deer, songbirds, raptors, otter and a number of reptiles and amphibians. The newly converted sewage ponds near Prineville will concentrate your birdwatching in a well designed and densely populated refugee for birds. An easy walking trail loops you through the various habitats. And let's not forget Bend: Two favorite places for walking on the wild side are Shevlin Park and Sawyer Park, loved by the locals for woodpeckers, warblers, mink, trout, garter snakes and butterflies.